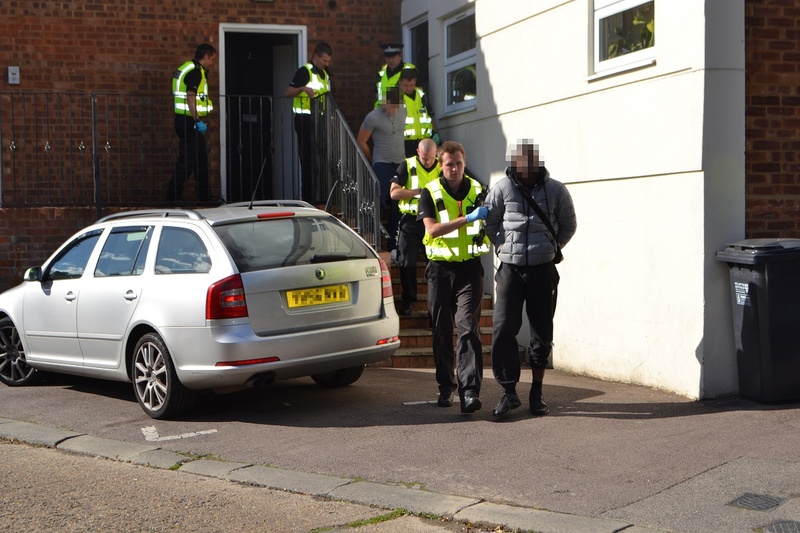 Police Welwyn Hatfield have raided houses and arrested 13 people as part of an operation to crack down on suspected drugs use and the on-going anti-social behaviour (ASB) problems that have been happening in the area in recent weeks. Officers entered the properties Cole Green Lane and Wellington Drive approximately 2pm yesterday (Friday 30th September). During the search of the property in Cole Green Lane, officers seized what is believed to be cannabis, drugs paraphernalia, two swords and suspected stolen property. 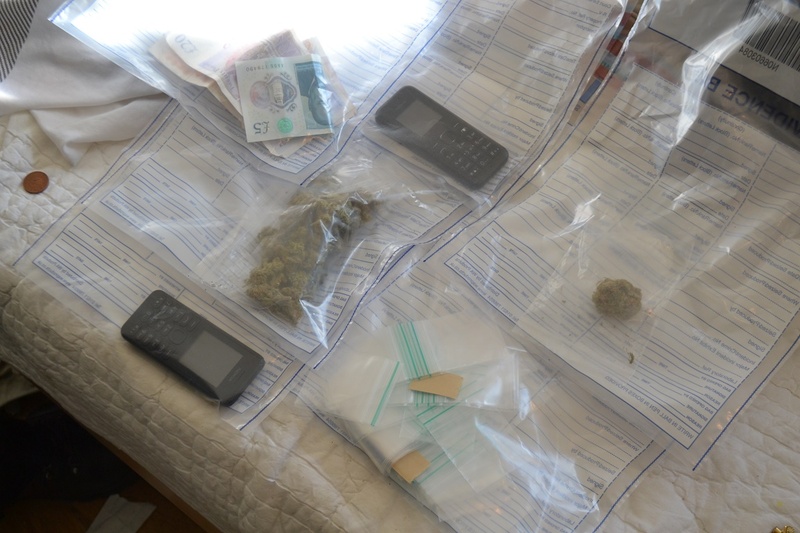 A 22 year-old man from Hatfield and a 23 year-old man from Welwyn Garden City were arrested at the property in Cole Green Lane on suspicion of possession with intent to supply drugs. No arrests or seizures were made at the property in Wellington Drive. "Operation Hade was devised in response to the ASB problems which have been happening in Woodhall Shops on Cole Green Lane, the disorder experienced in the town centre in Welwyn Garden City on Saturday night (September 24) and suspected drugs use. We will not tolerate the unacceptable behaviour which has been demonstrated by certain individuals in recent weeks; we are coming down hard on those responsible and will not relent in our actions to put a permanent stop to it. I am pleased with the arrests made today. Drug related crime in Welwyn Hatfield is low and to keep it that way we are determined to deal robustly with anyone believed to be involved in such offences. As part of the operation we have been working hard to identify those responsible for the on-going ASB and disorder that happened last week and have now made eleven arrests in total. Curfews have also been put on seven of those who have been arrested and further investigations are on-going. We are keeping up our high visibility patrols, have stopped and searched 18 people as part of our investigations and are speaking to the parents of these individuals. We are also working with the education authorities and partner agencies to put long terms measures in place, such a diversionary activities, to put a permanent stop to this behaviour. To those who have been causing the trouble - we are working hard to identify you and will deal with you robustly when we find you. I'd also like to re-iterate a message to parents living in the area to please be aware of where your children are to ensure they are not part of the group who are responsible for this ASB. Anyone involved could face further police action including a criminal conviction, fines and imprisonment." "Through our own investigations and information from the public, we can work together to keep Welwyn Hatfield safe and I would therefore strongly encourage people to always report suspicious activity and ASB to us should they come across it. Crime or suspicious activity can be reported to us via the police non-emergency number 101 or dial 999 if you witness an offence in progress. Alternatively call Crimestoppers anonymously on 0800 555 111."